Ahead of Trondossa next week, Jimmy and Jesse talk guitars, practicing, fishing, North Carolina, Col. Bruce and more! Jesse Hensley: Hey Jimmy, It is such a privilege to speak with you and can’t tell you how much I appreciate the opportunity to ask you a few questions today. I’ve seen you play several different guitars throughout the years but really curious as to if there is any particular piece that you have a special bond or more personal connection with. If so, which one and what makes this guitar special to you? Jimmy Herring: Hey Jesse! I had a deep bond with my old beat up ‘69 strat that I played in the ARU days…it was the only guitar I had back in those days! When the frets got really worn down I started playing a sunburst strat that was built by Gene Baker when he worked at the Fender Custom Shop years ago…it had two Seymour Duncan 59 humbuckers and I developed a long bond with that guitar…the combination of the strat scale length and the Gibson type pickups just really grabbed me…. As much as I love strats, with their long scale length, PRS has many amazing guitars… their build quality is just excellent! In the past few years, I’ve really bonded with the PRS NF-3…it has a unique scale length (25 1/4”) and these quirky narrow field humbuckers I really dig…. They don’t sound like any other guitar I’ve played… They’ve been discontinued, along with a lot of other things I like! Jesse: Also being a native North Carolinian and growing up fishing with my Pop, I’m very interested to know, what’re some of your favorite things about calling NC home and do you have any favorite fishing holes here that you like to hit while not on the road touring? In fresh water, my friends and I mostly fished farm ponds for bass wherever we could get permission…sometimes we couldn’t get permission and would try to sneak in any way, which normally resulted in being run off by angry landowners with shotguns! I’ve lived in Georgia so long now, most of my fishin’ holes are here! Jesse: Do you have a daily warm up or practice routine and what do you do to keep it fresh and interesting? Jesse: You’ve written and performed with quite the list of talented and well-respected artists but is there anyone that you would love to collaborate with that you have not yet had the opportunity to? Jimmy: There are so many great people I dream of working with someday, I wouldn’t know where to begin to list them! Okay, Jerry Douglas! He’s at the top of the list, but there are hundreds more! 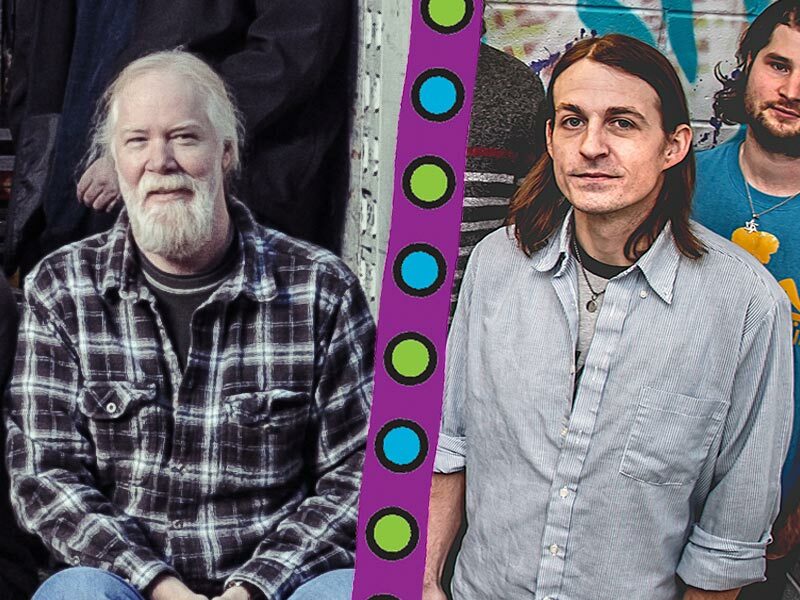 Jesse: I’m sure that spending a great deal of time with Col. Bruce Hampton throughout the years while playing in projects such as Aquarium Rescue Unit and The Codetalkers led to many deep musical and philosophical conversations. Is there a piece of Zambi advice that has been instilled in you that you would like to pass along to the younger musicians out there today? “Don’t take yourself too seriously” – translation: To quote Bruce, “You’re just running your hand over a piece of wood… you ain’t curing cancer.” This is a good thing to keep in mind! And by the way, there is ALWAYS somebody better, faster, younger, more musical and better looking than you, so drop the ego! “Just keep showing up” – This was what Bruce most often said when people asked him for advice on how to “make it” in the music business… translation: by “showing up” I took it to mean, be prepared… be on time… get along with people and try to be part of the solution instead of part of the problem! “Play every gig like it’s your last” – good to strive for because you never know! These are all bits of lessons learned living with Col. Bruce Hampton… but I’ve barely scratched the surface. Jimmy Herring: Hey Jesse! I really enjoyed listening to The Otherside! You are a great player with great sounds and an improvisational spirit that really sings! Jesse Hensley: Oh wow, thank you so much for checking out our new album and I’m glad to hear that you enjoyed! That sure does mean a great deal coming from you! Jimmy: I quickly noticed listening to your record that the band has a huge range of influences… I could hear everything from hip-hop to prog rock to free jazz! Is this intentional, or just a natural result of the different band member’s diverse backgrounds? Jesse: I would have to say that it is probably more a natural result of each band member’s musical educations and backgrounds. The six of us together make up quite the eclectic group of personalities and each person’s musical taste has always seemed to seep into our songwriting and improvisation pretty effortlessly. One of my favorite parts of being in this band is how we constantly introduce one another to new music and art while traveling and feel that this has helped immensely in developing our sound as a unit as well. Jimmy: Was the instrumentation of the band envisioned by one or more band members, or did things just fall into place? Just curious because I really like the way the sax, keyboards and guitars work together to form a unique sound… it’s refreshing to hear saxophone in this context! Jesse: This has been pretty much the lineup and instrumentation of the group since I was invited to my first practice session in late 2008, but I have always felt as if we each found one another pretty organically at the right times while in the right circumstances. Kind of like hitting some sort of magical friend lottery in a sense. Although, throughout the years there have been some additions to our sonic palate. With help from Josh, our keyboardist/trumpeter who is constantly experimenting with new synthesizers and also Casey, our saxophonist who has honed his own techniques for playing an electronic wind instrument called an EWI, the sound seems to always be morphing into something new and exciting for us. Jimmy: Do you guys write music together, separately or both? Jesse: We all definitely work on new music separately in our spare time but it seems the magic happens when we each bring those ideas to the practice space unfinished and present them to the group. Sometimes it may be something as small as a 4 note melody, a lyrical idea that Nick has, or even a full B section to add to something we were randomly jamming on during a soundcheck weeks before but overall it has always been a collective effort that goes into deciding how to arrange the parts to complete the musical piece. Jimmy: You have a lot of great solos on this recording… one that grabbed me was on ‘Plug’… was it cut live in the studio? Jesse: Thanks so much! All of these tunes were recorded live as a unit where we take our solo sections just as we would on stage to ensure that the energy is there in the room and captured in the mix but some solos do often get re-tracked. ‘Plug’ was definitely a tune where I went back in for a couple of more runs at it and pretty sure that the overdub was the one that made the final cut for the record. Jimmy: What is your take on modern digital modeling guitar tones versus the old way of cranking amps up to 10? Also, what amps and guitars did you use to record The Otherside? Jesse: I believe it’s all relative to what inspires the player and keeps them motivated to be creative. Growing up working in music stores/repair shops and also using several different types of software while recording demos at home, I’ve had opportunities to experiment a lot with digital gear but have personally never really been a huge fan or gotten results that I’ve felt content with. It feels more organic and I feel more like myself when cranking up an old tube amp and using my pinky to control the gain and tone on the actual guitar. During live tracking for this album I used my normal stage rig which consists of an original 1967 Fender Bandmaster into a 1X12 Mojotone cabinet but on overdub day the kind folks at Echo Mountain Studios offered me a real treat. Our engineer Jim asked if I’d be interested in adding in a 1962 production model JTM 45 and as you can imagine there was no way I was going to turn that down so we set up in stereo and captured tones from both Amplifiers. Generally, I use the same guitar for everything which consists of Warmoth parts. The body is a chambered mahogany, double f-hole Stratocaster with a maple top, loaded with a set of 59 clone humbuckers from Mojotone and a vintage spec Wilkinson Tremolo bridge. The neck is a vintage modern style maple neck with a 10 – 16 radius on a rosewood fretboard with 6130 fretwire. Jesse: Just want to say thanks again for taking the time to speak with me today and for being such a huge inspiration to the guitar/music world. I’m really looking forward to Trondossa! Jimmy: Thank you so much! You’re so kind, it’s my pleasure to talk with you! 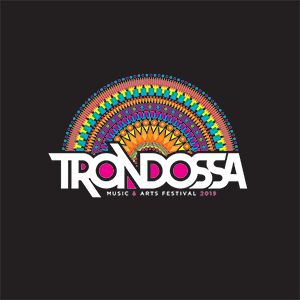 Widespread Panic and Big Something will perform at Trondossa Music & Arts Festival, taking place May 5 and 6th at Riverfront Park in North Charleston, SC. Tickets are on sale now.